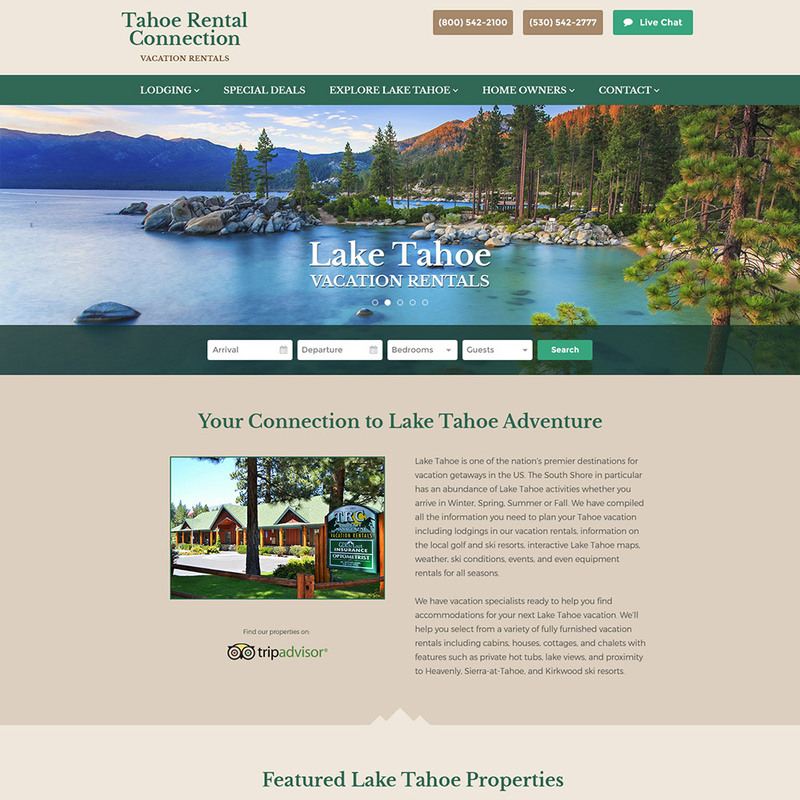 I was hired to design and develop a fresh new website for a local vacation rental agency called Tahoe Rental Connection, for their upgrade to a newer reservation system. This was a great site to build, because I got the opportunity to finally change the site from using an outdated iframe embedded reservation system, to using a fully-integrated and updated solution created by HomeAway, one of the leaders in reservation software. I designed the Theme to be simple yet reflect the natural beauty that vacation renters will find at Lake Tahoe. Featuring earth tones of green, tan and brown, the color scheme is easy on the eyes for those diligent vacation planners who could be combing through potentially dozens of listings to find their perfect vacation spot. A major challenge in this project was the HomeAway reservation software runs on a separate server from the Web Host, and it has no default front-end; the User Interface must be custom developed for each installation. I was able to save the client thousands of dollars on their budget and months on development time by using the GuestStream 'VRPConnector' plugin to integrate the website with the HomeAway software. This plugin allowed me to easily customize and style each element as needed, helping to provide a seamless transition between the WordPress page content and the HomeAway property content.